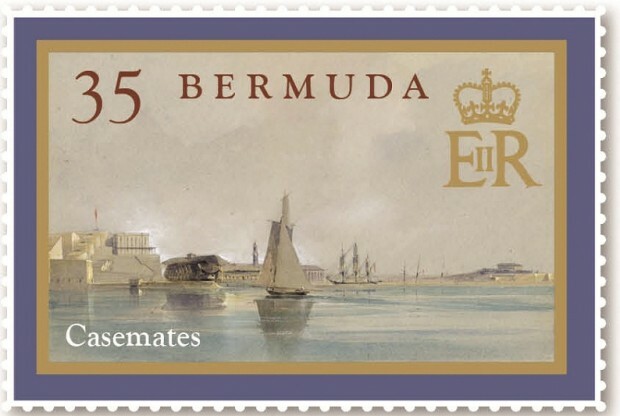 Last Thursday [July 21] the Minister of Economy, Trade and Industry Kim Wilson participated in the Bermuda Post Office’s latest stamp series launch depicting the old Casemates Barracks. 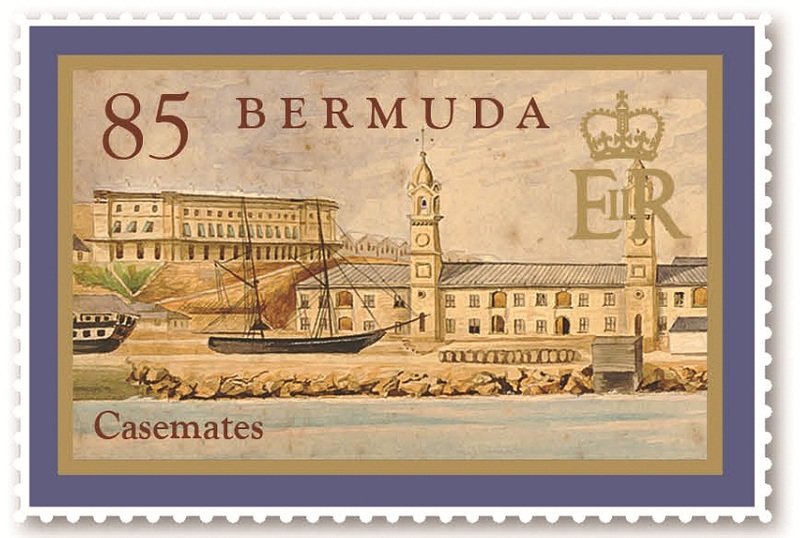 The event took place at Commissioner’s House in Dockyard. 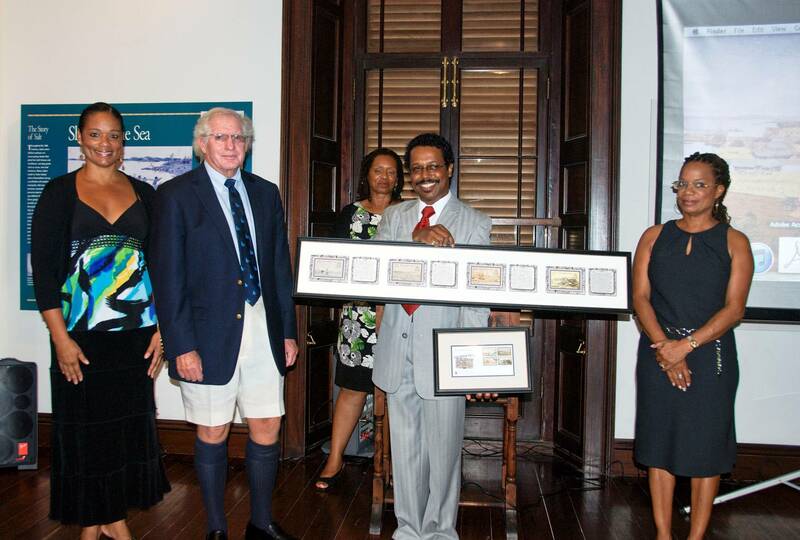 Pictured below, Minister Kim Wilson (end) is pictured with from L to R: Lisa Quinn-Brown, Chair of the Stamp Design Advisory Committee, Robert Steinhoff, Chair of the Bermuda National Museum, Acting Post Master General Dr. Eugenie Simmons and Stanley Taylor of the Post Office’s Philatelic Bureau. 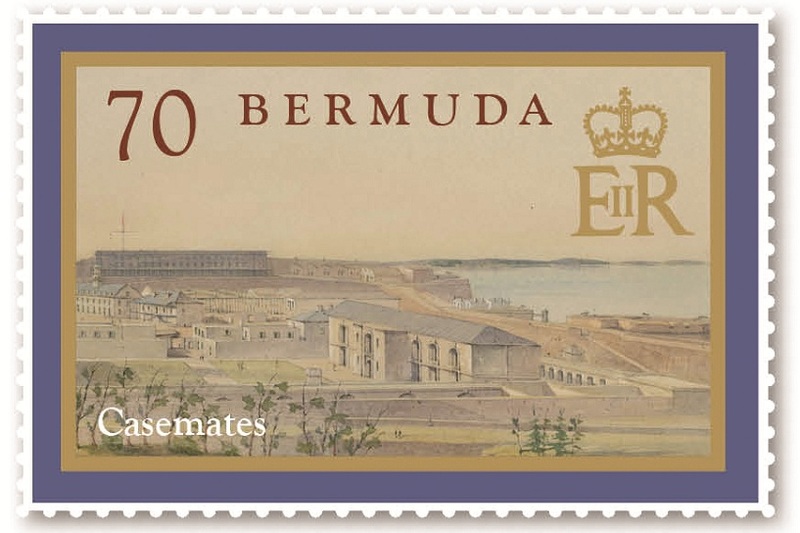 “Now more than 200 years later, the Casemates Barracks continues to have significant historical relevance. “Yes, our past and our present seem to embrace each other in this beautiful place that is the Royal Naval Dockyard. And may we continue to preserve our historical legacy for our generations to come,” concluded Minister Wilson.